The Western Digital PC SN520 NVMe™ SSD is designed for a multitude of applications that require both high performance and low power. The device is not only capable of more than three times the read speed over SATA SSDs, but further optimizes the low power consumption level to a mere 2.5mW. 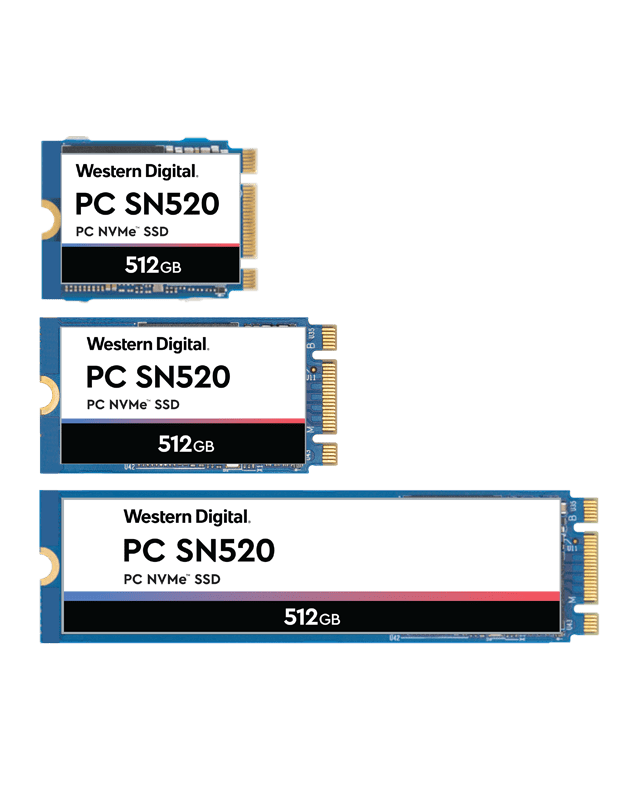 Equipped with a fully integrated solution including an in-house controller, 64-layer 3D NAND, firmware, and extensive testing, the Western Digital PC SN520 NVMe™ SSD provides longevity of supply in a robust and reliable design. Download the PC SN520 Datasheet (PDF).